Today, Mosio, a mobile solutions provider for clinical research, announces its new mPIN™ technology. Mosio’s mPIN™ adds a new layer of security and verification to text messaging communications with participants in clinical research studies. Researchers are looking to improve the ways they communicate with, engage, and collect data from study participants. Emails and phone calls aren’t as effective as they used to be in engaging study subjects before and during trials, so many researchers are turning to text messaging as an effective tool. Text messaging, the most utilized feature on mobile phones, is an efficient way to communicate, but it is still considered new in clinical trials. Its growing use in the industry has researchers looking for new ways SMS can be used to make studies more efficient, effective, and engaging. Mosio’s mPIN™ technology offers new, improved verification and security measures on the text messaging channel to better meet the needs of clients involved in sending and receiving sensitive information in clinical trials. 1. At the beginning of the project, study staff add subjects to the system and ask them for an easy-to-remember PIN (personal identification number), which becomes the participant’s mPIN. 2. Before a message with sensitive information is sent or before a survey starts, a single text message asks for their PIN. After they enter it correctly they will get the message or start a survey. 3. After the participants complete the survey or message transmission, a thank you message encourages them to delete all of the messages (incoming and outgoing) from their text history. The creation of mPIN™ came from research clients seeing the benefit of using text messaging in clinical studies over mobile apps, but needing a better way to verify the study participant was the one reading and responding to a message or SMS survey. The result is mPIN™, another mobile messaging innovation in research setting Mosio apart from general text messaging providers. 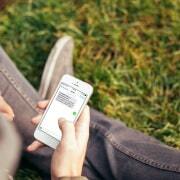 While mPIN™ is groundbreaking, it is simple to use and works on the SMS channel available on 99% of mobile phones. mPIN™ improves privacy and verification in study participant communications and data collection, backed by a HIPAA-compliant hosted platform and a unique, alphanumeric, user-based PIN for each study participant. 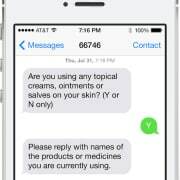 Further, because text messages don’t use “read receipts” after sending, mPIN™ provides visibility to research teams that a participant received the message. Friendly reminders or “nudges” can be sent when a participant hasn’t responded to a message or finished a survey, tackling another adherence issue in clinical studies. 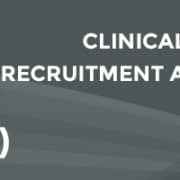 Specializing in clinical research gives the company more freedom to create inventive solutions in the industry and concentrate on study team challenges. “Mosio’s focus on creating mobile messaging solutions specifically for the clinical research industry enables us to innovate based on the needs and workflow processes of study staff while also improving the trial experience for patients and participants,” said Noel Chandler, CEO of Mosio. “mPIN was created to fill a need in clinical trial communications and patient engagement, based on feedback from research teams. It’s a perfect example of how clients help our team develop new technologies, using the most popular mobile channel in the world: text messaging,” added Chandler. With mPIN, Mosio furthers its mission to create innovative clinical research solutions accessible to all study patients and participants. Mosio is dedicated to increasing the success of clinical trials, worldwide, through mobile messaging technologies. Its mobile software platform offers clinical trial sponsors, CROs, and NIH-funded studies an efficient, cost-effective way to communicate efficiently with study subjects. 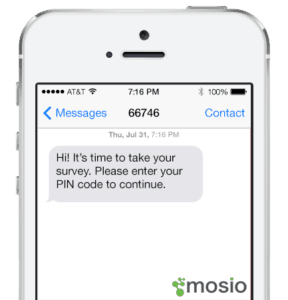 Researchers use Mosio to extend their outreach and stay connected to participants through interactive, two-way text message alerts, reminders, and surveys in over 48 countries. Researchers benefit by using Mosio’s software to recruit, retain, engage, and collect data from study participants via their own mobile phones. 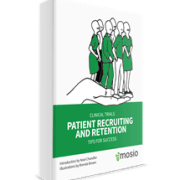 To learn more about Mosio’s mobile messaging solutions for clinical research, visit http://www.mosio.com or call/text 415-799-4144. House of Representatives Vote to Increase NIH Funding How Does Mosio Compare to Twilio for Text Messaging?